Meh. I'm having a rough week in the cooking department. This recipe came via a very reliable source (thanks, Lisie), so I must have messed it up. Following the simple theme of the week, this recipe has five steps. First, roast the walnuts. Second, make the pasta. 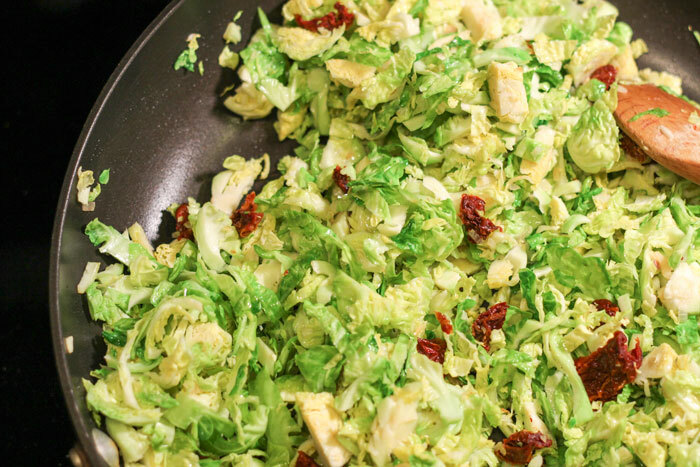 Third, sauté the garlic and shallots, then add chopped Brussels sprouts and sun-dried tomatoes. Four, add cream and reduce. Finally, toss all of the above together and add gorgonzola, basil, and red pepper flakes. Easy, right? 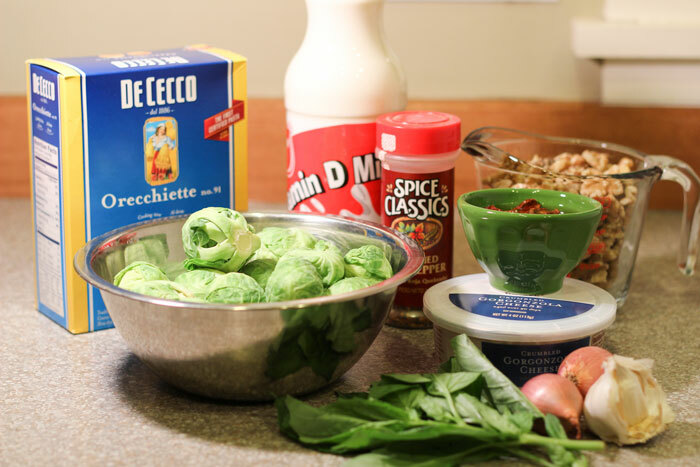 Lisie modified the original recipe in three ways: skipping the parboiling of the Brussels sprouts (we’ve talked about this before), substituting whole milk for cream, and doubling the pasta from half pound to a full pound. All of these were good choices, although I did end up with enough pasta to feed an army, and sadly, my army was not home. So this recipe was easy and used all sorts of things that I love, right? I mean what is wrong with pasta, Brussels sprouts, gorgonzola, and walnuts? That’s just it. I’m not sure what happened, but it was boring. One problem may have been that the recipe called for a cup of gorgonzola and I added only 4 ounces (I have GOT to start reading the recipes in full, every time, before I go to the grocery). I’m not sure adding gorgonzola would have helped, but maybe. Another issue was that there were far too many walnuts for my liking (2 cups!) and not enough sun-dried tomato (1/4 cup) to balance out the flavors. I also had trouble with the reducing of the milk. I think the recipe would have been too heavy with cream, but by the time my sauce reduced, the Brussels sprouts were slightly over cooked. 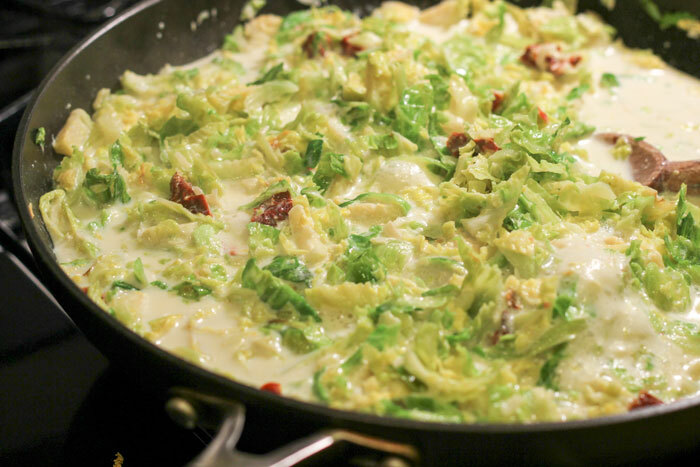 Lesson there is to sauté the Brussels sprouts far less before adding the milk. Go ahead and make this dish. Substitute milk, but cook your veggies less in the sauté stage. Add the full amount of gorgonzola, extra sun dried tomatoes, and a full pound of pasta (the balance of ingredients was correct with the additional pasta, so be prepared to make a lot of this or half everything else if you use only half pound of pasta). Reduce your walnuts and chop them up a bit. Let me know how it goes. I’d be willing to try again.